Former Portsmouth and Croatia midfielder Robert Prosinecki has been appointed as Azerbaijan head coach to replace Berti Vogts. 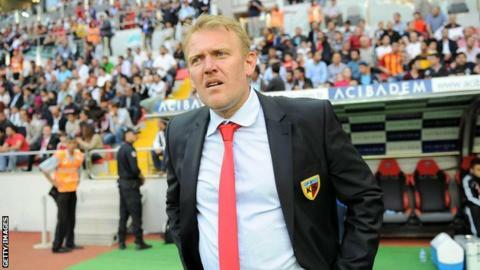 Prosinecki, 45, was in charge of Turkish club Kayserispor until December 2013 - his last managerial role. Vogts quit in October after three straight defeats left Azerbaijan bottom of their Euro 2016 qualifying group. "I am an optimist and I believe this team has potential," Prosinecki said. "We have to get things back on track."